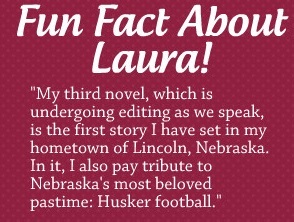 Laura Chapman is a native Nebraskan who loves football, Netflix marathons, and her cats, Jane and Bingley. Until she fulfills her dream of landing a British husband or becoming a Disney princess, you can find her in a bar penning her next novel. She is the author of The Marrying Type, Hard Hats and Doormats and the Autumn and Tuck series, which appear in Merry & Bright and A Kind of Mad Courage. 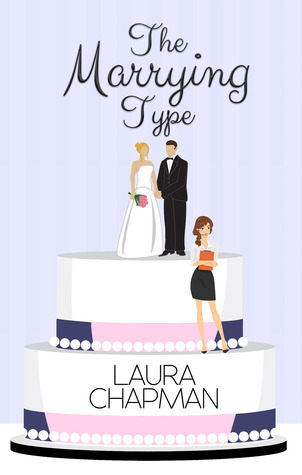 For a chance to win a copy of The Marrying Type, visit Laura’s Facebook page, or click here to join the Reader Appreciation Author Hop. Always the wedding planner, never a bride, Elliot Lynch is famous for orchestrating the splashiest weddings in Charleston, South Carolina. When her father’s sloppy management practices leave them on the brink of bankruptcy, Elliot will do whatever it takes to save the family business. When asked to appear on “The Marrying Type,” a reality TV show about the people behind the scenes as couples exchange I dos, she says yes to the invasion of privacy (and the hefty paycheck that comes with it). With a camera crew capturing every detail of her life, Elliot faces her most challenging contract yet: planning a wedding where her ex is involved in every part of the process. Add in a lazy assistant, liquor-loving bridesmaid, and rival planner encroaching on her turf, and Elliot’s wedding season goes from high-end to high-stress. Forced to confront her past, Elliot must live out her troubled present on national TV if she has any hope of saving her future.